Cool, thanks. So, you might want to sit down. Look, I don’t know how to tell you this but…it seems that video games have…passed on. That’s right gaming is dead. I know, I can barely believe it myself -- and I write about games. But since the announcement of the Ubisoft and Nintendo collaboration, Mario+Rabbids Kingdom Battle, gaming, much like “the music” in the Don McLean classic, has died. The first sign that gaming might be on its way out came from a cropped image that was leaked on Discord of a Rabbid dressed as Princess Peach taking a selfie -- an image a few other journalists have described as well God help us all. Shortly after, WWG reportedly received a full-size image (pictured above) of what would be promotional material for a game someone ostensibly would like to play, and not an unstoppable super-plague sprung upon an unsuspecting medium. May they (all of gaming) rest in peace. 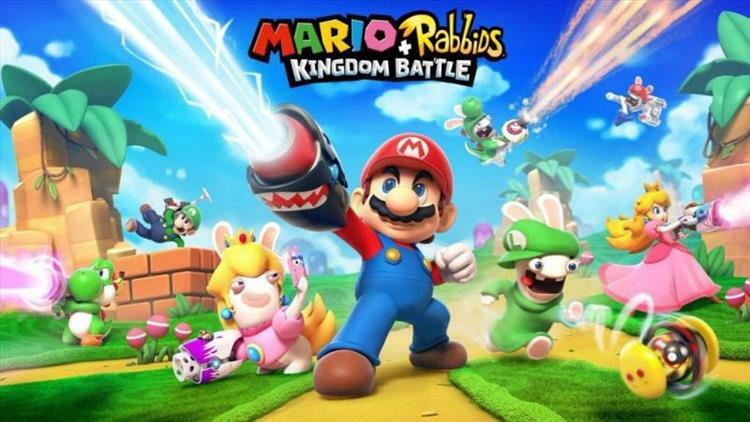 Based off the Boschian nightmare above, as well as some earlier reports, it seems that the final nail in the coffin of gaming that is Mario+Rabbids will be an RPG in which the eponymous union fights using laser-based weapons. Cool. Rabbids, of course, are France's Minions -- although they predate Minions, so they are sort of ur-Minions, and therefore more dangerous than we can possibly imagine. Why Mario, an occasionally annoying but mostly delightful, playfully racist, and all around wonderful plumber would ever team up with such contemptible rodents is beyond me. But someone has to pay for the Nintendo Switch, and it seems that the type of exhausted parents who would take their kids to "Smurfs 9: The Smurfical" for just 90 minutes of peace will be footing the bill. Anyway this malignant tumor should fully metastasize sometime in August, possibly later. Who knows. Hush now. Darkness comes.